Congratulations to educator Karen Jacobson for being awarded the Game Changer Award for her amazing work with immigrants on the Alhambra High School campus!!! Jacobson teaches English to English Language Learner students and actively participates at the Dream Center on campus. 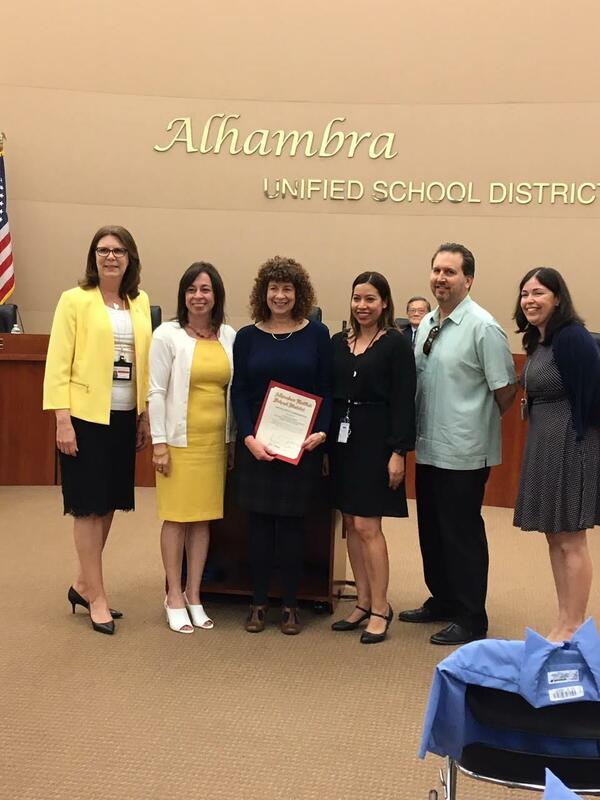 From left to right: Denise Jaramillo, AUSD Superintendent; Caroline Botros, Alhambra HS Assistant Principal; Jacobson; Carly Chavez, Alhambra HS Assistant Principal; Javier Guitierrez, Alhambra HS teacher; and Stacie Colman-Hsu, AUSD Director, Human Resources.